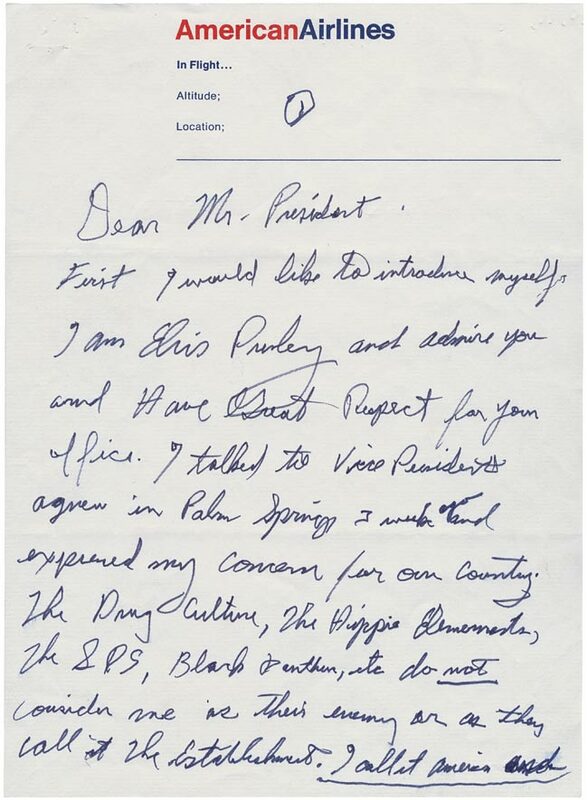 Forty-two years ago today, early in the morning of December 21, 1970, Elvis Presley showed up, unannounced, at the gates of the White House to deliver a letter he had written to President Richard Nixon. 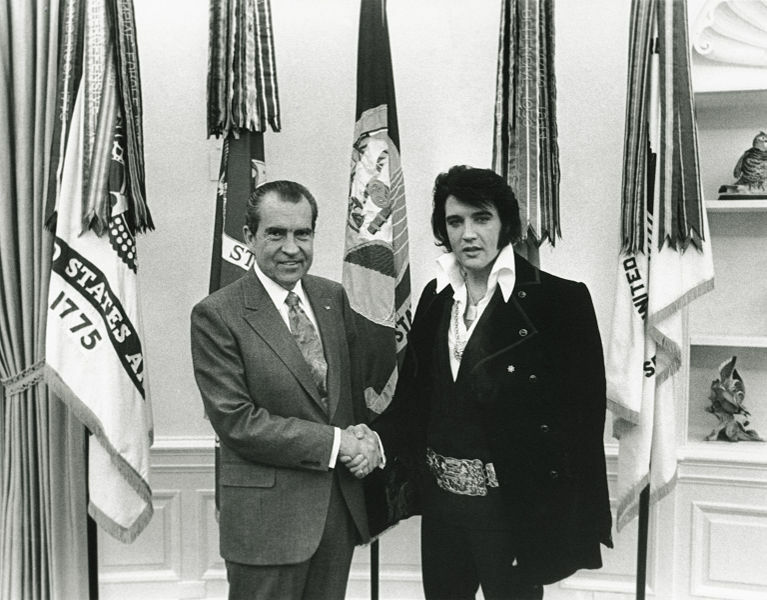 Elvis wanted to meet with the President and he wanted the title and badge of Federal Agent for the Bureau of Narcotics and Dangerous Drugs. Elvis got everything he asked for. By lunchtime. That day. How did Elvis do it? That should be an interesting movie if true!